KAMPALA – The Auditor General has poked holes into the process leading up to the sale of Crane Bank and faulted the Central Bank for squandering billions of taxpayers’ money in questionable expenditure purportedly to support the commercial bank’s operations during the time it was under statutory management. A leaked report by the Auditor General, Mr John Muwanga, submitted to Parliament last week, indicates that during the period Crane Bank was under statutory management after being taken over by Bank of Uganda, more than Shs12 billion was spent by BoU on lawyers and consultancy fees without following the procedures or any indication that the money was meant to revive the bank. “I observed that BOU did not have a documented process of injection of funds to support CBL operations during the statutory management,” the report reads in part. Mr Muwanga says he did not verify the basis upon which the Central Bank arrived at the Shs478.8 billion in liquidity support to Crane Bank, out of which about Shs12 billion went to external lawyers and two auditing firms. 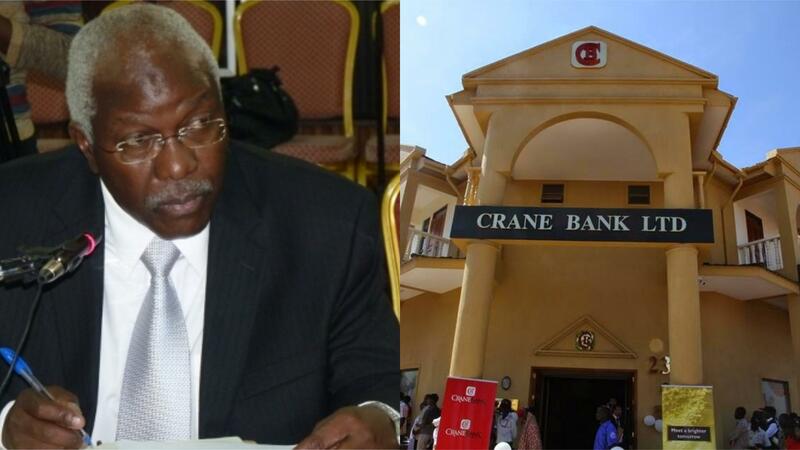 “During this period, the Statutory Manager did not prepare a plan detailing efforts to return the bank into compliance with prudential standards despite BOU injecting Shs478.8 billion to support the operations of Crane Bank,” the report reveals. After taking over Crane Bank, BoU appointed Edward Katimbo Mugwanya as the Statutory Manager. “In absence of any documented assessment to revive the bank, I could not provide assurance as to whether Sections 89(5) and 90(a)(c) of the FIA (Financial Institutions Act) 2004 was complied with,” Mr Muwanga said. To conduct a forensic audit into Crane Bank operations and compile an inventory of assets and liabilities, the report indicates that PricewaterhouseCoopers (PwC) was paid Shs1.3billion. The AG, however, says he was not privy to details on how this company and other service providers were appointed by BoU and for that reason didn’t evaluate the value for money. Another auditing firm, KPMG was paid Shs428.8m for provision of IT technical support and help BoU officials manage IT system of Crane Bank. And because “BoU IT team didn’t have the competent and experienced resource with requisite expertise in Crane Bank’s core Banking system (T24)”, KPMG was again paid Shs190.5m to teach BoU staff how to use the IT system. KPMG team was paid an additional Shs302.2m, again for provision of IT technical support. BoU officials explained that this payment was based on the time required by individuals assigned to the engagement plus direct out of pocket expenses and VAT. It’s not clear whether the BoU contract with KPMG was availed to AG for scrutiny. The special audit was solicited by the Parliamentary Committee on Statutory Authorities and State Enterprise (COSASE) to guide a wider investigation the committee intends to carry out on the controversial sale of Crane Bank, formerly owned by businessman Sudhir Ruparelia. The same report indicates that BoU did not follow any guidelines/regulations or policies in the sale of Crane Bank to dfcu Bank last year and in the closure of the other banks. “I observed that there were no guidelines/regulations or policies in place to guide the identification of the purchases of the defunct banks. There were also no guidelines to determine the procedures to be adopted by Central Bank in the sale/ transfer of assets and liabilities of the defunct banks to the identified purchaser,” the AG report reads in part. “On April 10, 2018, I requested for P&A agreement, including details of the assets and liabilities transferred after taking into account the requisite valuation. I noted that BoU did not carry out a valuation of the assets and liabilities of CBL. In the absence of the valuation, I could not establish how the terms for the transfer of assets and liabilities in the P&A were determined,” Mr Muwanga’s report reads in part. Recently, Meera Investments dragged Dfcu Bank to the Land Division of the High Court, seeking to reclaim its 46 branches which it says were acquired illegally following the dissolution of Crane Bank. The closure of Crane Bank saw Dfcu bank become the third biggest bank after acquiring 46 branches from the financial institution. Meera, in its lawsuit, claims that at the time BoU took over the management of then Crane Bank in October 2016 before its eventual sale to DFCU, it was the leaseholder of the suit properties and paying $6,000 every beginning of the year. The AG’s report has also raised questions on how BoU signed a Purchase of Assets and Assumption of Liabilities agreement with Dfcu on January 25, 2017, for the purchase of Crane Bank. “I was not provided with the negotiation minutes leading to the P&A agreement. In the absence of the minutes, I could not determine how BoU selected the best-evaluated bidder and how the terms in P& A were determined. I also noted that the P&A did not have complete details of assets and liabilities transferred to dfcu with their corresponding values; I was, therefore, unable to establish the status of assets and liabilities transferred to dfcu,” the report adds. Aggrieved Crane Bank shareholders have already threatened to sue BoU, saying the January 25, 2017 sale agreement was signed by BoU Governor Emmanuel Tumusiime-Mutebile and Mr Juma Kisaame, the managing director of dfcu Bank, without considering the interests of major shareholders of the defunct bank. The AG has also questioned the source of Shs478.8b the Central Bank injected into Crane Bank in 2016 to keep it liquid.